The staff of Dr. Christopher Montellese and Dr. Kristina Montellese are committed to bringing you better health and a better way of life by teaching and practicing the true principles of a healthier life style and the benefits of chiropractic care. Our doctors and staff have a genuine concern for your well-being. We offer many techniques to address your structural health care needs in a gentle comprehensive approach tailored to you. Staying healthy and fit for life is a goal we work to help our patients achieve! Dr. Christopher Montellese has been practicing on the Monterey Peninsula since 2007. He started his career working in various rehab clinics in New York City. He graduated from Palmer College of Chiropractic, West in San Jose, California. Dr. Montellese received his bachelor's degree in Psychobiology from SUNY New Paltz in New Paltz, New York. Dr. Montellese specializes in Manual Therapies of joint mobilization, Active Release Technique (A.R.T.®) , Activator technique and Therapeutic Exercise. He also uses low force and gentle techniques when caring for his mature patients, children and pregnant mom's. 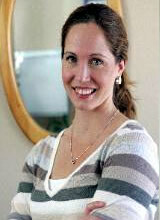 Dr. Kristina Montellese has been in practice for almost 15 years. Practicing in New York City and Monterey. She graduated from Palmer College of Chiropractic. She received her bachelor's degree in Human Biology from Santa Clara University. Her Pelvic Floor Rehabilitation training was obtained from Herman and Wallace Pelvic Rehabilitation Institute. She attended Santa Catalina High School, in Monterey, CA. She has had the privilege of studying Biology in Kenya, East Africa. She also studied violin and stand-up bass at La Escuela Vocacional de Arte in Havana, Cuba. Dr. Montellese has treated the professional triathletes at the Iron Man Triathlon in Kona, Hawaii with fellow Active Release Technique (A.R.T.®) practitioners. 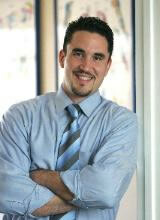 Dr. Montellese is also a Certified Personal Trainer, through the American College of Sports Medicine. Dr. Montellese also specializes in the gentle methods used when caring for newborns and children and treating pregnant patients, during and after their pregnancy. Pelvic Floor rehab treatments utilize Biofeedback EMG therapy. Our doctors are participating members of the The Birth Network of Monterey County, The American Pregnancy Association, The Monterey Peninsula Chamber of Commerce, as well as, The International Chiropractic Pediatric Association.